If you can afford bespoke suits, we have plenty of options available to avail the suit from our available stock of ready-made suits. A lot of guys with standard body size can easily get ready-made suit. These basic adjustments are easy and relatively cheap. Often times, however, you will need additional alterations. When you’re buying a suit or any formal jacket, the most important thing you have pay attention to is how the shoulders fit. As the graphic states, shoulder alterations are tricky at best. They are often impossible and will only make your suit look worse. Similarly, jacket length is not an easy adjustment, so make sure not to buy anything that is too far off. 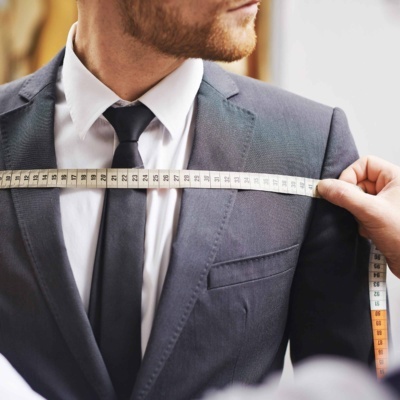 If you keep these points in mind when shopping for a new suit, you will do well. Just be picky and don’t settle for anything that doesn’t look and feel great.